Voted Best Orthodontist in 2018! - Daniel A. Weaver, D.D.S. M.S. Daniel A. Weaver, D.D.S. M.S. Voted Best Orthodontist in 2018! 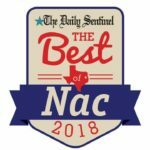 Nacogdoches, you make us smile! 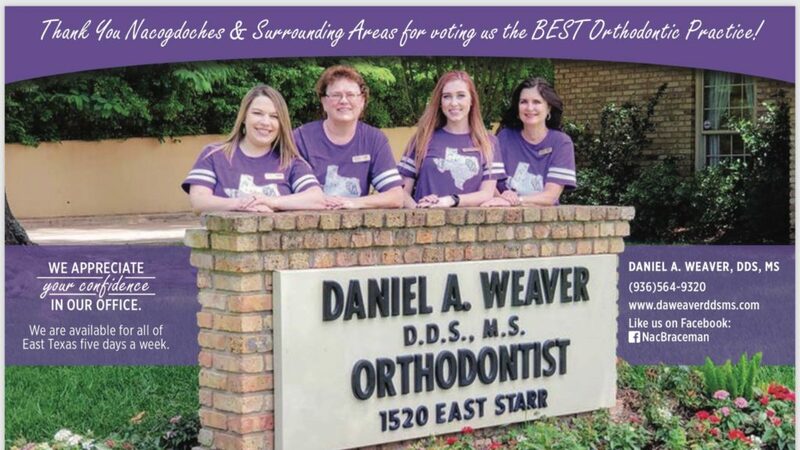 For more than 30 years, Dr. Daniel A. Weaver has been improving the smiles of children, teens, and adults in the East Texas area. Dr.Weaver is an accredited orthodontist and member of the American Association of Orthodontics. He and his office staff are committed to providing the best possible care for you and your family. Dr. Weaver is committed to always being available in our Nacogdoches office. We are open Monday through Thursday 7 am to 5 pm. We are closed for lunch from 12 pm to 1 pm. On Fridays, we are open from 7 am to 12 pm. © 2019 Daniel A. Weaver, D.D.S. M.S.